I am selling Formula Dynamic DMB and ECM for any automatic M139 QP and Automatic GT. BTW Mine is 07 QP Automatice. I confirmed with FD that any automatic M139 QP and any automatic Grandturismo will fit these units. 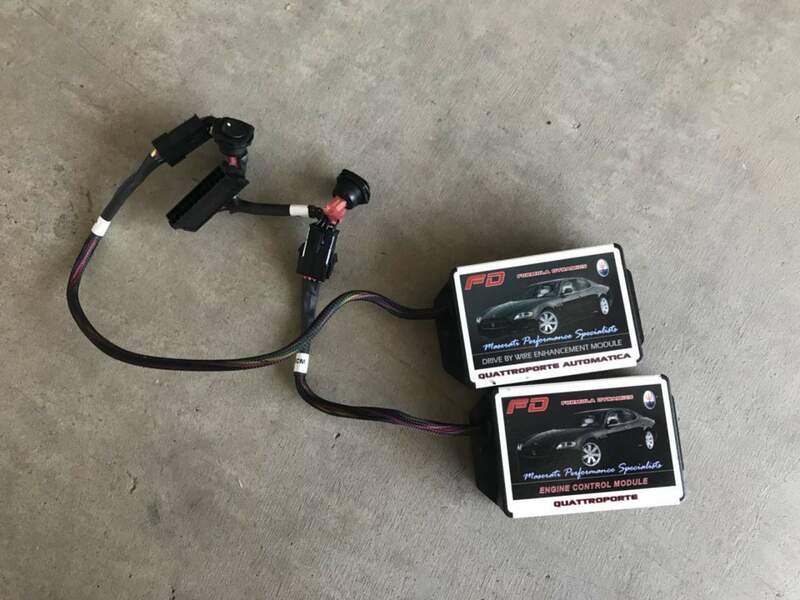 Once you confirm to buy it, I will sent these modules to FD first, they will retest make sure its all good and provide the all new hardness for your vehicle base on the VIN you provide. So they test it and sent all new modules with fully instruction, also include technical support. While you have problem on installation, they will also answer your questions. I will go both modules for $2350 OBO shipped . You nothing to worry about. Any of these modules installed will improved your QP or GT a different level. Yea, pretty sure this will work for your car, because before I make this post, I called the FD to confirm which cars my units will fit on. So if you want to call FD to confirm by provide your model or VIN they will let you know. Once its good. you pay me a partial deposit and I sent the units to FD. After they tested and reprogram to your spec. you pay me the balance and they sent it direct to you? Ebay works for me too. This price including BOTH modules ship to you, testing and reprograming BOTH modules from FD and will suit for your car with tech support. Yes, still for sale. Modules tested and good for all 4.2L GT or QP automatic cars.